In the summer of 1964, college students and others throughout the United States were invited to Mississippi to take part in what was then called the Mississippi Summer Project. In the brochure announcing the project, details were given to interested persons regarding the history and purpose of this endeavor. It was this brochure that Patti Miller saw on a bulletin board on her campus. She immediately applied, was accepted and left for Mississippi, alone on a bus which took her from Des Moines, Iowa through the deep South to Jackson, Mississippi, where she had her orientation for the summer to come. This was the cover of the brochure that caught Patti’s attention and the attention of hundreds of other college students. Patti was in summer school in early summer of ’64, so she had her orientation later, but most of the students went to Western College for Women in Oxford, Ohio for a least a week of training and orientation for the summer to come. At that time, among other things, they were instructed in non-violent self-defense to be used if they were ever beaten or arrested. Many practice sessions took place as the students became more and more aware of the potential dangers and threats to their lives. On June 21, Robert Moses, project director of Freedom Summer, quietly went to the podium in the auditorium and announced to the students that three of their fellow civil rights workers, Mickey Schwerner, James Chaney and Andrew Goodman, who had left the previous day to go back to Mississippi, were missing and probably dead. All of the students were given an opportunity at that time to go back home, but nearly everyone made the decision to continue on to Mississippi to begin the work to which they were all committed. 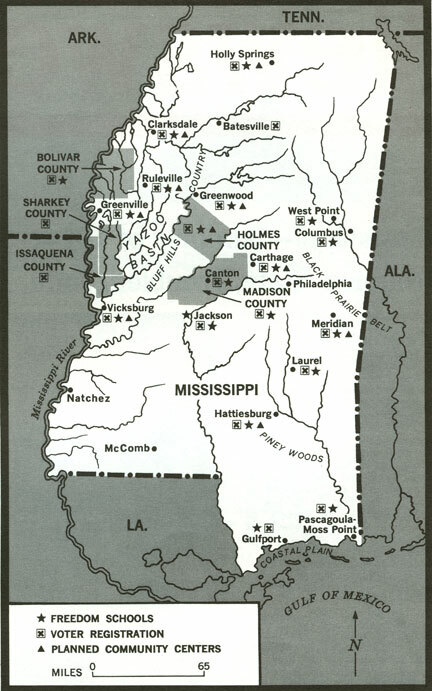 By the first of July, hundreds of students had arrived in Mississippi and were assigned to the various projects which are locatable on the map below. 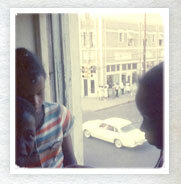 All were assigned to either Voter Registration, Freedom Schools or Community Centers. The long hot summer had begun.